Former New Richmond Exempted Village School District Board of Education member Enoch A. Sergent died Sept. 24 at the age of 92. Sergent, who served of the Board of Education from 1958 to 1970, was involved in the opening of New Richmond Elementary in 1958 and the construction of New Richmond High School in 1964-65 and the old Pierce Elementary School in 1963. "Enoch was a very dedicate man to whatever he was involved with," said former BOE member Ralph Shepherd, who lived down the street from Sergent and spent 20 years on the school board after Sergent's terms. "He was very dedicated to the board and would walk around schools every day. He was just as dedicated to the Boy Scouts and the New Richmond Food Pantry." Sergent, who was preceded in death by his wife Nina M. Sergent, was a Lieutenant in the U.S. Army during World War II and served in Italy. "I was extremely proud when he showed up for our 4th of July parade in 2012 when we honored World War II veterans," noted Shepherd. 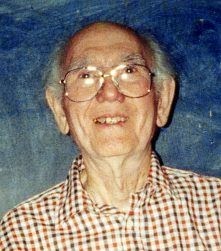 He was the father of Stephen Sergent (Michelle), the late Nina S. Sergent and Nancy Eling (Jeff); the grandfather of Andrew Sergent (Amanda), Bridget Sergent, Nick Eling (Caity) and Nina Eling and the great grandfather of Xaiver McDonald, Aiden Sergent, Zara McDonald and Emma-Elizabeth Sergent. Visitation will be from 9 a.m. until time of service at 11 a.m. at E.C. Nurre Funeral Home 200 Western Ave. in New Richmond on Saturday Sept. 28. Burial will be in Greenmound Cemetery. The family requests memorials be made to the New Richmond Food Pantry.